I was barely 5 years old when I saw Star Wars for the first time, on a 19-inch tube TV screen off a VHS tape with slightly wonky tracking. I ended up watching the movie so many times I killed that VHS tape. Twice. I owe much of the love I have for science fiction and fantasy to Star Wars and after the disappointment I felt after the prequel trilogy, I’d been reining in my enthusiasm and expectations for The Force Awakens. Was The Force Awakens everything I wanted or hoped for? No, but given the creators involved, it’s pretty much what I expected and there were several unexpected surprises. I have criticisms of J.J. Abrams, but he’s an economical storyteller who knows how to keep up a good narrative pace with an excellent eye for visual effects (yes, there was a distinct dialing back of his trademark lens-flare here). Thankfully, we once again have a script in which characters sound like actual people talking to each other, even when giving obvious exposition dumps. Character introductions are swift but clear snapshots where both new and familiar faces feel well-grounded, thanks in part to some strong casting choices. Daisy Ridley balances both steel and vulnerability in scavenger Rey, John Boyega absolutely sells Finn’s journey to heroism, and Oscar Isaac as Poe Dameron steals practically every scene he’s in. I was pleasantly surprised to find that like R2-D2, BB-8’s clicks, whistles, and movements communicate emotion just effectively as any spoken dialog. John Williams could probably compose for Star Wars in his sleep but his music is just as exuberantly operatic as ever. It’s clear that Abrams has far more affinity for Star Wars than he ever had for Star Trek, which ends up being both an advantage and a liability. As far as cinematography is concerned, I’ll be extremely surprised if The Force Awakens doesn’t nab another Oscar nomination (if not an award). The “look and feel” is much more like the original trilogy films, utilizing a lot of the same framing tricks and techniques, while making use of new technology to capture shots that Lucas could probably only dream of. Anything involving the Millennium Falcon made me feel like a giddy, spaceflight-obsessed kid again, and the action sequences were sharply energetic without being difficult to follow, while still doing a better job than the originals of conveying the grim reality of war. The panoramic landscapes of Jakku littered with the detritus of the Imperial war are absolutely breathtaking. Abrams clearly knows what makes Star Wars tick and set out to recreate that magic moment of discovery many of us felt the first time we saw that Imperial Star Destroyer chasing a doomed Rebel ship fill the screen. But how you feel about Abrams’s understanding and use of those narrative tools might depend on what you want from a Star Wars story. If you’re looking for something new, you might feel that you’ve seen this movie before because The Force Awakens is retreading old ground; if you’re leaning more toward wanting to slip into a story that fits as comfortably as a well-worn sweater, you’ll probably be more satisfied. I actually lean toward the former (and wasn’t surprised by that given Abrams’s creative history) but getting into the “why” is diving into spoiler territory, so that’ll have to wait for Part 2. But the ending leaves me hopeful that The Force Awakens revisited that familiar ground in order to set the stage for taking Star Wars into new narrative territory. One area where I will give Abrams and Disney credit is this: I cannot stress enough how deeply affected my reaction to The Force Awakens was influenced by how the film integrates racial and gender diversity into the story. I wouldn’t wish to spoil that for anyone, so I’ll delve into how and why it worked more deeply in my follow-up, too. But since we know who the principal players are for this new trilogy, take a look at how the main cast of Star Wars has progressed. 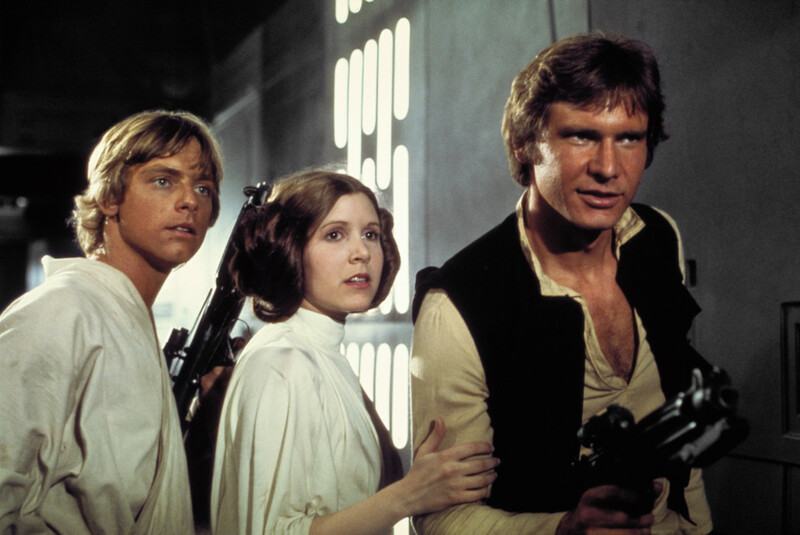 In 1977 there was Luke Skywalker, Leia Organa, and Han Solo. 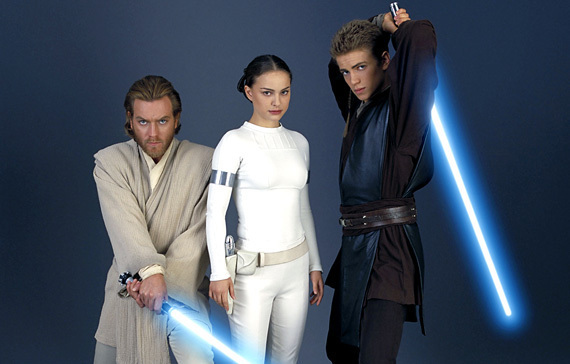 Then in 1999, we had Obi-Wan Kenobi, Padme Amidala, and Anakin Skywalker. 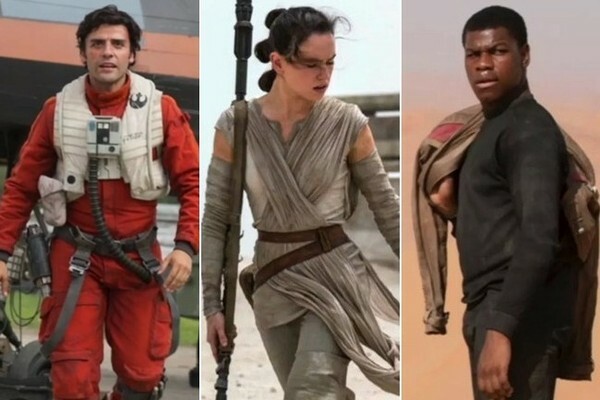 And now in 2015, we have Poe Dameron, Rey, and Finn. It’s taken nearly 40 years of Star Wars history and three generations of characters, but at long last, we have a new central trio that is racially diverse – a Latino man, a white woman, and a Black man – and one in which lazy racial stereotypes are absent and the woman is allowed far more agency and active participation in her own hero’s journey. This is not a high bar, and expecting filmmakers of Abrams’s stature to clear it should be a given, but the fact that Star Wars is finally beginning to better reflect the diverse faces of fandom makes me incredibly happy, and I hope that the filmmakers continue to improve this in the following movies. The Force Awakens isn’t the best SF/F movie to come out this year, but I wasn’t expecting it to be, and it’s a solidly-good scifi/space fantasy that echoes some of the joy I felt seeing Star Wars over 30 years ago. I don’t think it hits the heights set by The Empire Strikes Back, but it’s almost as good as the first Star Wars (which has similar narrative flaws), and certainly better than The Phantom Menace. I found the story fairly predictable and wish Abrams had taken those familiar building blocks to create something new, but notably, the part of my brain that thrives on critical analysis only really kicked into high gear once I got home, because I was too busy grinning and laughing and getting lost in the story as it unfolded on-screen. In fact, I’m excited to see it again tomorrow night so I can really sink my teeth into dissecting the plot and characterization (warning: Part 2 is probably going to be on the long end because happily, there’s A LOT to dig into). Not surprisingly, it’s Han Solo who sums up how well The Force Awakens actually works when he steps back onto the deck of the Millennium Falcon: “Chewie, we’re home.” Like the Millennium Falcon, Star Wars is showing its age. It’s beaten around the edges, the controls are sticky, and the flight’s a bit rough. But it’s still the same ship, same familiar corridors and quirks, still responding to the love, expertise, and dedication keeping it all together. The original pilot has left the cockpit to make room for the next generation, and while they may not quite know how to fly her yet, you’re hopeful that the ride they’re taking you on will not only remind you of that glorious first flight to a galaxy far, far away, but will bring you to new places you haven’t even imagined yet. The Force is indeed awakened and back with us. Hopefully to stay. This entry was posted in Review, TV/Film and tagged JJ Abrams, movies, scifi, Star Wars, The Force Awakens by Michi Trota. Bookmark the permalink.